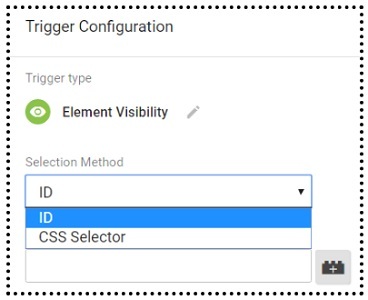 The element visibility trigger is a new addition to Google Tag Manager (GTM). The word ‘element’ in ‘element visibility trigger’ refers to an HTML element. This element could be <head> tag, <body> tag, <h1>, <p> tag etc. The word ‘visibility’ in ‘element visibility trigger’ refers to the visibility of an HTML element(s) in a web browser’s viewport. 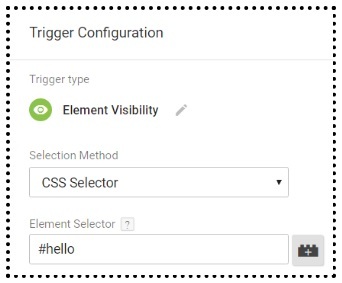 The word ‘trigger’ in ‘element visibility trigger’ refers to the GTM trigger which is fired when an HTML element(s) become visible in a viewport. 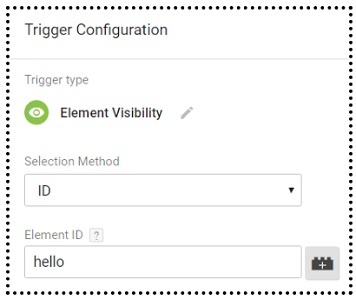 In order to use the element visibility trigger, you would first need to understand the viewport. any pop-up /window/dialog box which may hover, over the top of a web page. and is measured in pixels. This is the maximum viewport size I can get on Google Chrome for the screen size I have got. A user who has got 3 toolbars installed at the top of his chrome browser window will get less viewport than the user who has got no toolbar installed at the top of his Chrome browser window. Thus viewport size can vary for same web browser on same device depending upon how it is setup and how it is being used. Thus on Firefox I get less viewport. Different screen resolutions tend to have different viewport size. A device can come with different screen sizes. For example, laptops come with different screen sizes. Similarly, mobile phones and tablets come with different screen sizes. Different screen sizes tend to have different viewport size. A viewport will be smaller on a tablet than on a desktop device. Similarly, a viewport will be smaller on a mobile than on a tablet device. Through viewport meta tag, you can control how a web page should be displayed on different screen sizes. The viewport tag controls the web page’s width and scaling on different screen sizes. A web page is made up of HTML elements. However these elements are not visible to a user (unless he checks the source code). So when a web page appears in a viewport, its corresponding HTML elements also appear/enter the viewport. An HTML element can appear in a viewport and can also disappear from a viewport. When the HTML element appears in a viewport it is called visible and event of the element becoming visible is called ‘visibility’. A page loads into a web browser window. A user scroll up/down a web page. A page unloads in a browser window. There is a DOM change. A user minimize/close the browser window. Note: It is important to note that the element visibility trigger doesn’t work when an element disappear or becomes invisible from a viewport. As the name suggest, it is an element visibility trigger and not element invisibility trigger. A web page is made up of HTML elements. 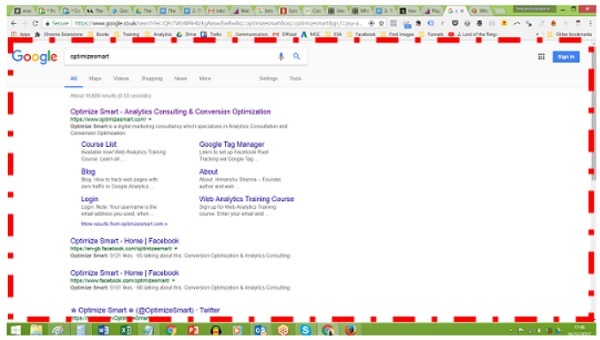 However this happen in the background and you can not easily track with certainty which element became visible and when, through naked eyes and that too for every user of your website. So you would first need to identify the elements whose visibility you want to track. Use the ID selector, if you have got only one type of HTML element to find/track and that element has got the ‘ID’ attribute. This selector uses document.getElementById to find the elements in a web page with the given ID. Here the element visibility trigger will fire only when the first element with the ID ‘hello’ appears in the viewport. Use the CSS selector, if you have got multiple HTML elements to track and/or the element you want to find does not have the ‘ID’ attribute. You can also use CSS selector as a substitute for ID selector. Here the element visibility trigger will fire only when the element with the ID ‘hello’ appears in the viewport. The HTML element(s) that matches a ID/CSS selector is called a matched element (or selected element). So h1 is a matched element. And when this matched element becomes visible in a viewport the element visibility trigger should fire. Not every element on a web page will/should match a ID/CSS selector. So not every element is/should be a matched element. And the element visibility trigger should fire when one or more matched elements becomes visible in a viewport. 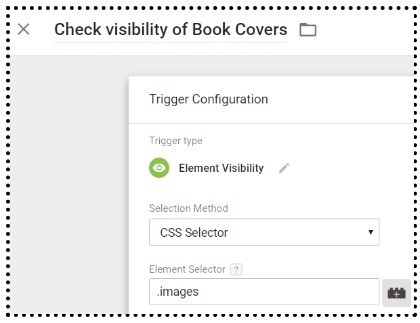 #1 Once per page – Select this option if you want the element visibility trigger to fire only once on the current page when a matched element or one of the matched elements become visible in a viewport. 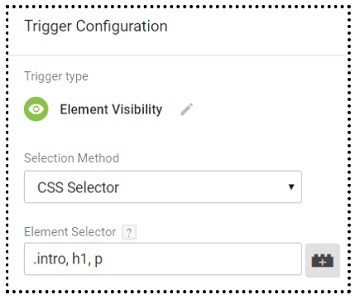 #2 Once per element – Select this option if you want the element visibility trigger to fire only once per matched element which becomes visible in a viewport. Note: If multiple elements have the same ID attribute, only the first matched element will fire the trigger (unless it is subsequently removed by an observed DOM change). 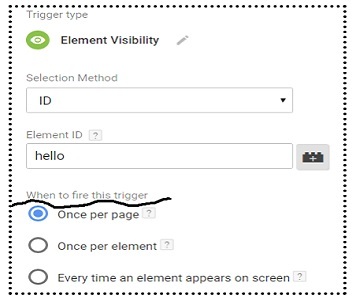 #3 Every time an element appears on screen – Select this option if you want the element visibility trigger to fire every time a matched element becomes visible in a viewport. ‘Minimum percent visible’ is the minimum area of a matched element(s) that must visible in a viewport before the element visibility trigger fires. The default value of ‘Minimum percent visible’ is 50% i.e. at least 50% of a matched element(s) must appear in a viewport before the element visibility trigger fires. So if you are running a banner ad, you would want your website users to see 100% of your ad before the ad can be considered as viewed. If ‘Minimum percent visible’ is set to 100% then the element visibility trigger will fire only when the matched element(s) fully appears in a viewport i.e. it is fully viewed. Minimum on-screen duration is the minimum amount of time (measured in milliseconds) for which a selected element(s) must remain visible in a viewport. Here, the minimum on-screen duration is set to 2000 milliseconds (or 2 seconds). What that means is that the element visibility trigger will only fire when a selected element(s) remained visible in a viewport for at least 2 seconds. When people scroll a web page (without actually reading contents), they see various elements of a web page for milliseconds. 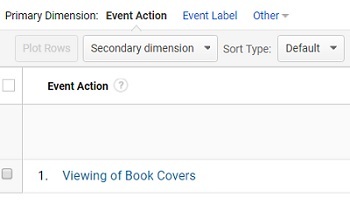 So if you are tracking impressions of a banner ad on a web page, you want your users to spend at least a second or two viewing your ad. So you can set the minimum on-screen duration to 2000 milliseconds (or 2 seconds). 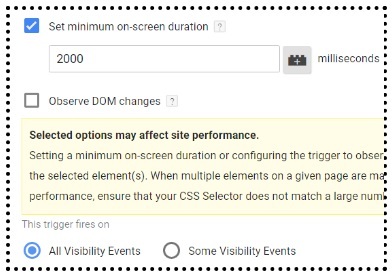 Here you are telling GTM to fire the element visibility trigger only when there is some change in DOM. A DOM changes whenever new element(s) are dynamically added to DOM or existing element(s) are dynamically removed from DOM. For example, if a user see a thank you message on the page where he filled and submitted a form then that is considered as DOM change. That thank you message wasn’t there/visible when the user first saw the page but became visible only after the user submitted the form. Similarly, if a user’s action results in a popup then that can be considered as DOM change. Let us suppose, I want to track how many users view this full banner ad for at least 2 seconds. Now I need to capture the element(s) which is the banner ad. I can do that by finding the CSS selector of this element. Step-3: Install the chrome extension called ‘SelectorGadget‘ for finding the CSS selector of a page element. 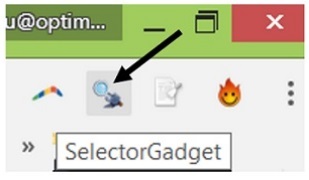 Step-6: Turn off the ‘SelectorGadget’ extension by clicking on its icon again (at the top right hand side of the browser window). Step-10: Save the tag and then preview the container. 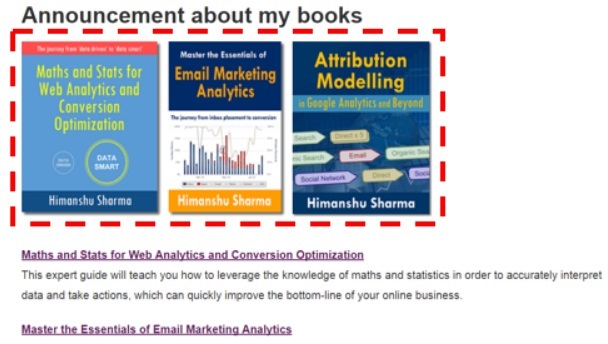 Step-11: Navigate to the page: https://www.optimizesmart.com/video-tracking-via-youtube-video-trigger-google-tag-manager/ and then scroll down the page, until you can see the book banner ad. 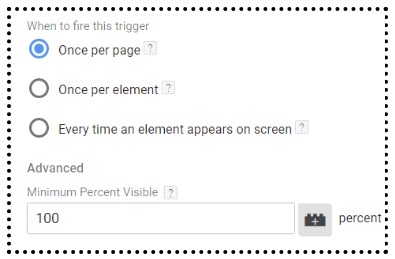 We can now conclude that the tag which contains the element visibility trigger is firing. 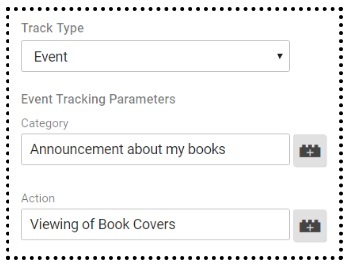 Step-14: Navigate back to your GTM account and then click on the ‘Leave Preview Mode’ link. 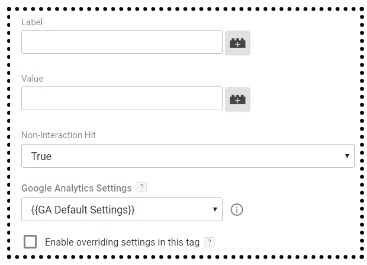 That’s how you can use element visibility trigger to track true impressions of a banner ad.